Manufacturer & Exporter of a wide range of Rigid PVC Polypropylene FRP Ducting & Hoods. these products are mostly used in various industries. These products have most demand in market. These products are made from high quality raw material. Fabricated out of 3mm and 5 mm thick PVC / FRP/ Polypropylene sheets as per your requirements and externally coated with FRP to give good mechanical strength. 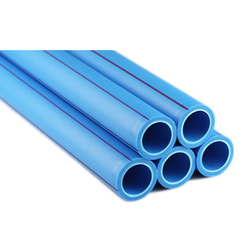 1/2” thick Flanges are used at required places by using Flexible PVC Gaskets and polypropylene and bolts. Highly resistant to acids, alkalies and other Corrosive gases, and temperature resistance upto 1200C. Non contaminating, surface is smooth so less abrasion resistance to fumes Velocity long lasting and durable. Very useful for Fine Chemicals, Dycs, Pharmaceutical and pickling plants, Electroplating plants, phosphatase Tanks, Laboratory Fume Cupboards and Process Rooms.